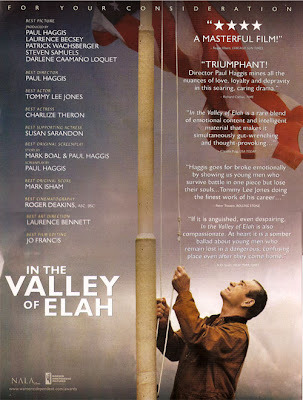 Here's an early For Your Consideration ad for one of my favorites so far this year, Paul Haggis' In the Valley of Elah. Thanks to Sasha Stone at Awards Daily for posting these. You can also see more here.